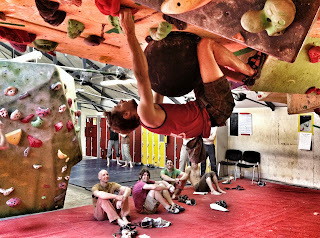 Sunday 7th August saw the launch event of BLOCFEST at the Castle Climbing centre in North London. A new generation of bouldering festival to hit the South and transform competition climbing in the Capital and surrounding areas. With the head setters from two of London’s climbing centres- Mike Langley from The Castle and Alex Lemel from Mile End (both founding members of the notorious London Mafia climbing team) alongside living legend Gaz Parry and rising star in the route setting game Kornelija Howick, The Blocfest team are set to take over in the South. 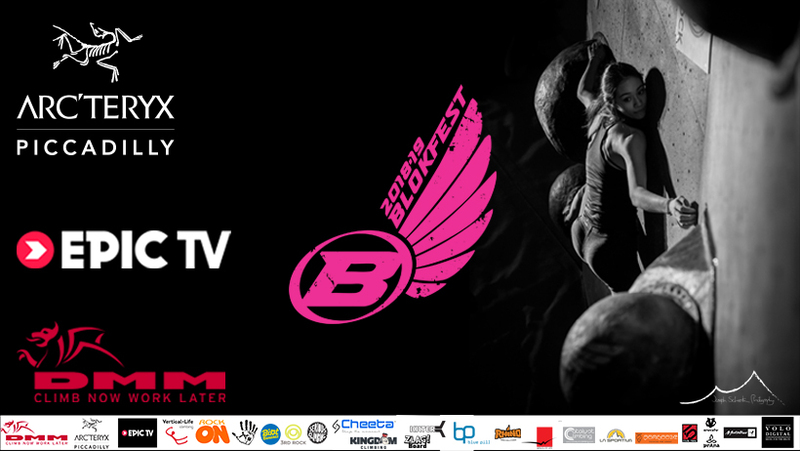 With an aim to launch a series of festival events that combine the best blocs at the best walls with the best vibes, the Blocfest team created a circuit of 20 blocs throughout The Castle using specially designed and made volumes fresh from the Blocfest workshop and a comp set of holds from official Blocfest hold sponsor- Holdz. With something for all from kids to experienced climbers everyone had a brilliant time. The blocs ranged from technical slabs to wrestling with "The Guvnor" - a huge custom made volume hanging off the top of a steep wall. Not to mention the very popular "Pumpfest" - a 72 move circuit set through the horizontal Catacomb roof with a see-how-far-you-can-get-before-you-get-pumped-out-of-your-mind concept which only saw two full ascents. There was also a "Hangtime" challenge which invited people to see how long they could hang off of a cleverly placed volume. Time to get your guppy gurn on! So after such a successful launch what else do the Blocfest team have in store? 5 festival dates at the premier walls in London and the South and they are only going to get bigger and better with showcase finals, live music, mad giveaways and much much more - Blocfest is about to hit the South in a big way.